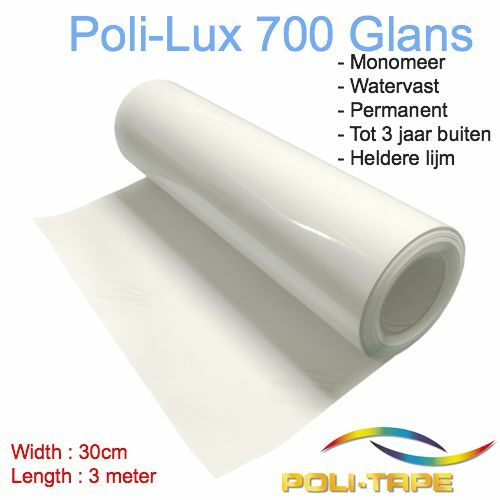 Monomeric PVC film transparent (gloss) is 80µ thick and coated with an ultra clear acrylic dispersion adhesive. 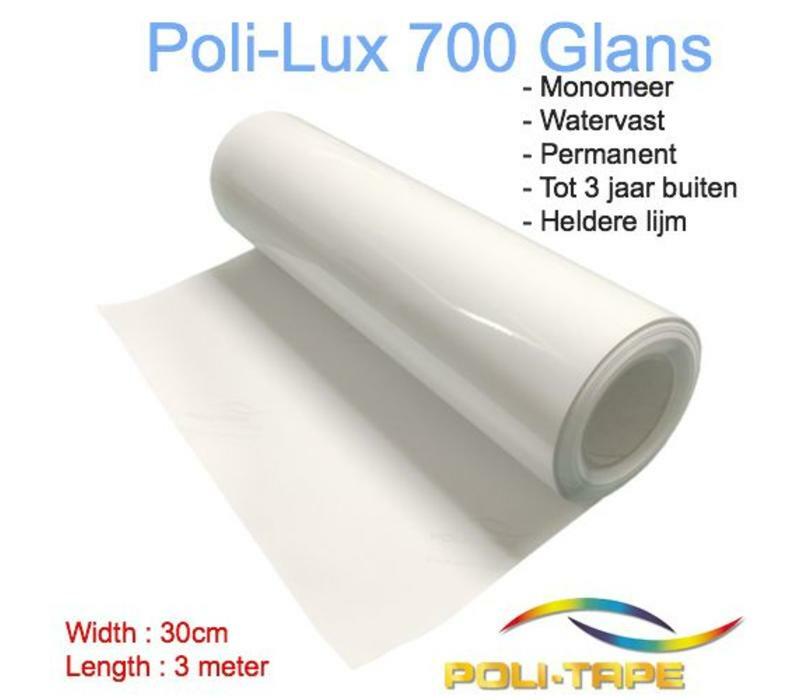 Laminating films suitable for the protection of digital prints and images. Due to the resistance to UV and humidity the outdoor durability will be improved. Has a lifespan of 3 years in outdoors, this is not the duration in which it protects the print against UV light. This is depending on the quality of inkt used, but will lengthen the performance of the inks used. This film is 30cm wide and will be sold per roll of 3 meters, multiple items come as multiple rolls.